As the untimely snowfall put life in Kashmirnd Chenab Valley out of gear, impacting all spheres of life, the worst hot have been those affiliated with apple trade as the industry faced losses of crores of rupees in the wake of damages to the crop and also apple trees. 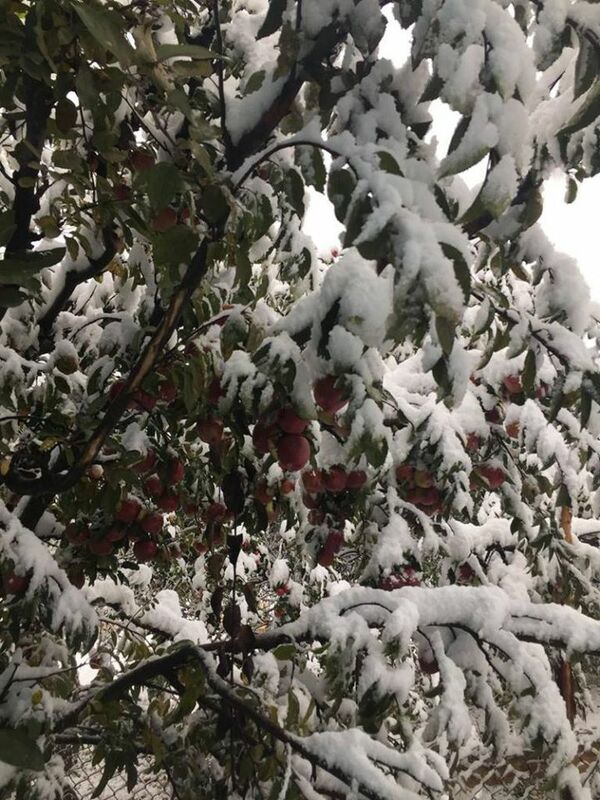 A large number of fruit-laden apple trees in Kashmir have either have been uprooted or their stems have broken due to heavy snowfall on Saturday, horticulture department officials said. The worst affected orchards are in Kulgam, Pulwama, Shopian, Bandipora and parts of Baramulla districts, the officials said. “Some apple varieties which are plucked late in autumn were still on the trees. The exact losses can be determined only after a detailed survey but as per conservative estimates fruit worth several crores have been lost due to the snow,” added the officials. Orchardists are demanding the government to set up teams for assessment of losses and demand compensation. “There has been lot of damage to apple orchards, especially in south Kashmir areas. The government should immediately order loss assessment and compensation,” said Shakeel Ahmad, an orchardist from Pulwama.